Connecticut might not yet be a state where you can legally buy marijuana, but a derivative known as a good way to relieve chronic pain is readily available. Dr. Jonathan Kost, medical director of the Hartford Hospital Pain Treatment Center and the Spine and Pain Institute at MidState Medical Center, recommends 100 percent cannabidiol, or CBD, to some of his patients. Marijuana contains both CBD and tetrahydrocannabinol (THC), while 100 percent CBD from hemp lacks THC’s psychoactive element so users do not get the “high” feeling they would after using marijuana. “Research has begun to indicate that CBD may have strong antioxidant, anti-inflammatory, anticonvulsant, antidepressant, antipsychotic, antitumoral and neuroprotective qualities,” said Dr. Kost, who also serves on the Connecticut Advisory Board for the Department of Consumer Protection overseeing medical marijuana. Chronic pain from various causes. “Academic research centers around the world are currently studying the effects of CBD on these and other ailments,” says Dr. Kost. “CBD may even change gene expression and may be helpful in removing beta amyloid plaque, the hallmark of Alzheimer’s, from brain cells. The only side effects from using CBD could be tiredness and diarrhea. Dr. Kost, who referred to the 2018 U.S. Food and Drug Administration decision allowing CBD for treatment of a severe seizure disorder in children age two and older as evidence of its safety, still recommended trying other safe options for easing pain first. That said, he urged anyone using CBD to find out where and how the product is made. CBD products are not regulated and can vary in potency based on the origin of the CBD itself. CBD from hemp, he said, has extremely low quantities of THC (less than .3 percent) and, therefore, no resulting psychoactive effects. Medical marijuana dispensaries have more recently begun to offer strains with CBD percentages almost as high as hemp, but they still possess a higher percentage of THC and, therefore, a greater chance of a psychoactive “high” effect. 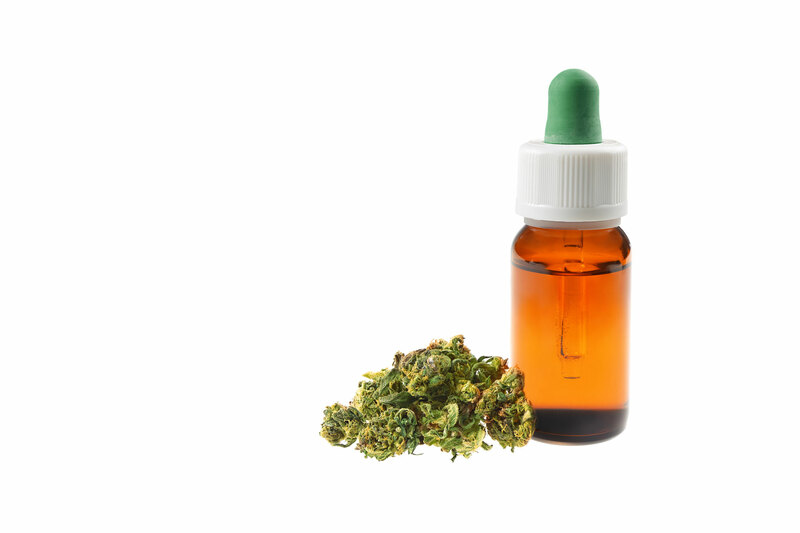 “It’s situation of buyer beware with hemp-based CBD products,” Dr. Kost said. For more information on pain management at the Hartford HealthCare Pain Treatment Center, click here.